Inclusions: Fully engineered as a Class 1 (Habitable Dwelling), prefabricated in Australia from quality materials, the Steeline Hunter backyard pod kit is easily enhanced by the addition of a deck and veranda. Basic flat-pack deck and veranda kit includes flooring system (add your own decking material); heavy-duty supports; low-profile skillion Zincalume® roof; guttering system; screws and fixings; full drawings and instructions for DIY installation or local tradesperson; optional foundation piers. 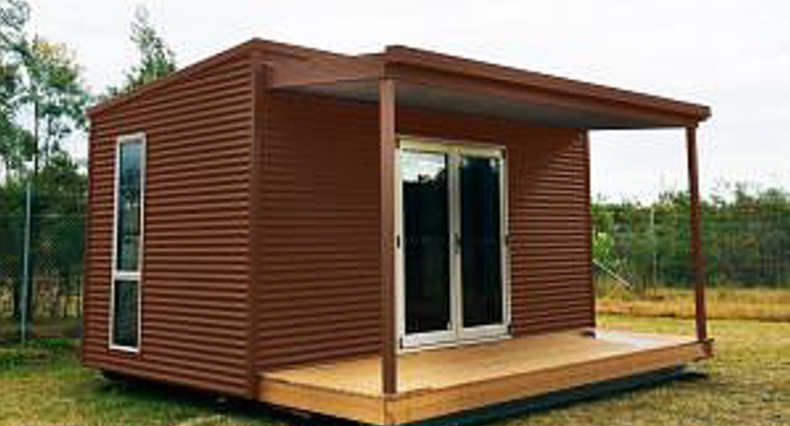 Choose from the full range of Colorbond® colours to match with your pod. Exclusions: Add your own choice of decking material (eg: timber decking or eco-wood decking) to the deck surface and surrounding edges (recommended). Dimensions: The finished deck and veranda is 1.5m-wide and 5m-long - ideal for matching with any pod kit in 5m-length. You can negotiate with your installer for just basic installation as above, or more advanced pod finishing and customisation. If we are unable to assist by introducing you to an installer in your area, you can probably find a local tradesperson to install your pod according to the instructions provided. If you're handy with tools, you could probably put it together yourself with a little help from your friends. You can also find/purchase recycled materials through local sources.